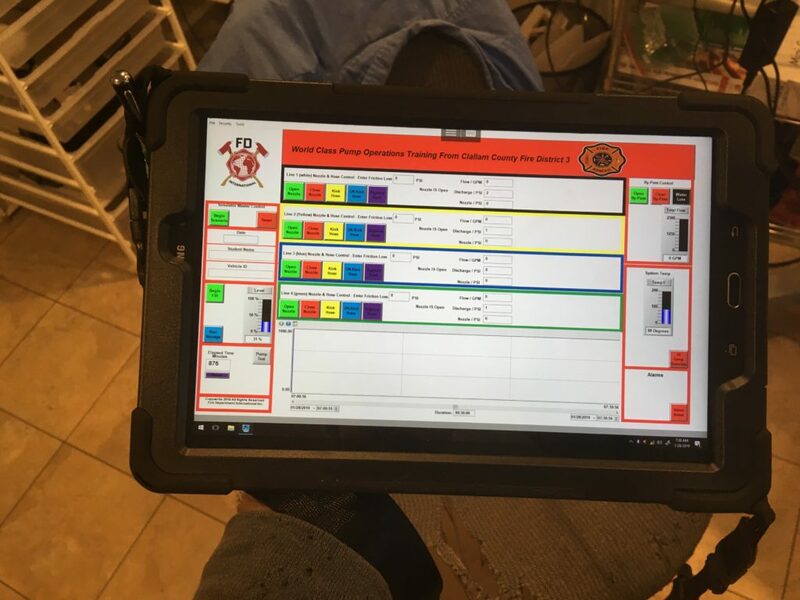 Although our primary manufacturing component is the Fire Engineer Simulator we design, engineer, and build unique solutions for problems facing the modern fire service. 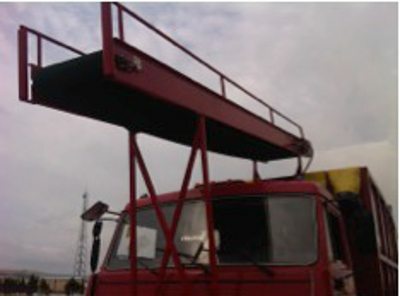 By owning a Fire Engineer Training Simulator, you can take the training to the stations. Keep your trucks in District. 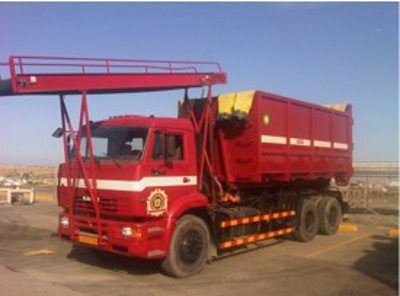 Keep your trucks in service. Overall, keep training cost down. 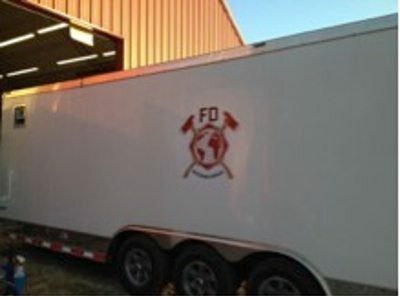 FD International will custom design, engineer & build a Fire Engineer Training Simulator specifically for your departments needs. 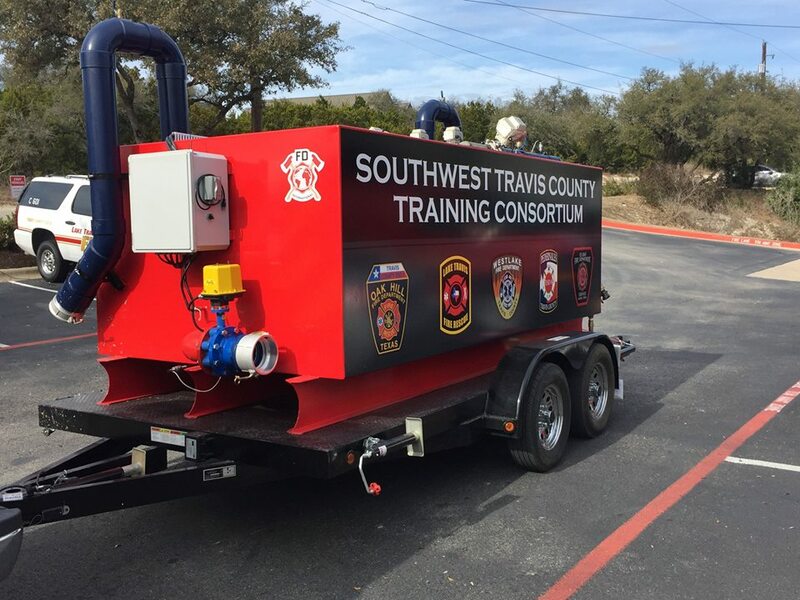 With flow capacities over 3000 gpm and a full spectrum of training scenarios, FD International can provide your department with a simulator to suit your departments training & pump testing needs. 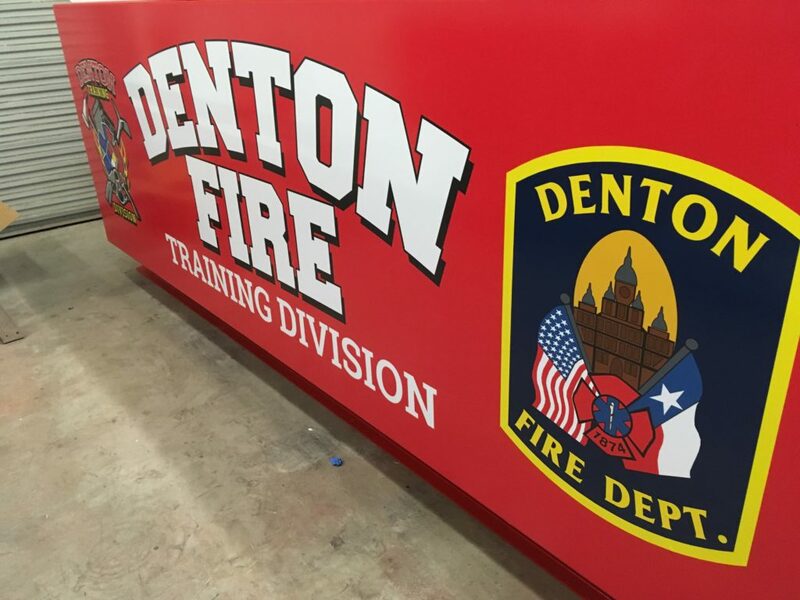 The Fire Engineer Training Simulator is designed, engineered, and built to provide your department with opportunities for extraordinary training. 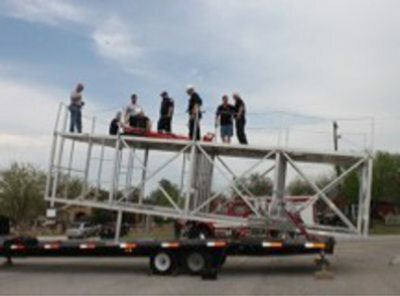 Your apparatus operators will be challenged, learn to truly operate an apparatus pump under extreme conditions and have a great time doing it. 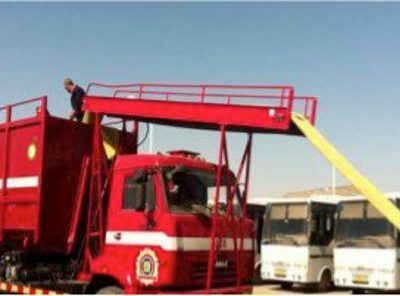 Each Fire Engineer Training Simulator is custom built to suit the needs of each fire department and provide many, many years of quality and trouble free service. 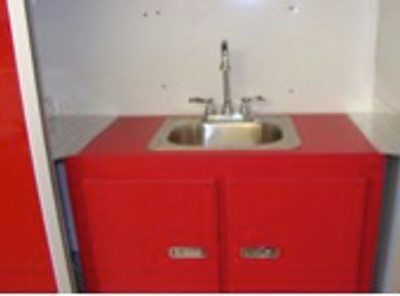 Each Fire Engineer Simulator comes with everything you will need to get started training and pump testing. 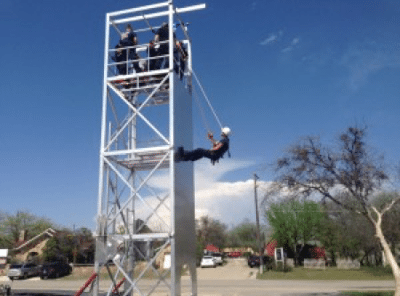 The Technical Rescue Tower is an all aluminum, 3 story structure designed to be easily transported to any station or department for Confined Space, Low Angle and High Angle Rescue Training. 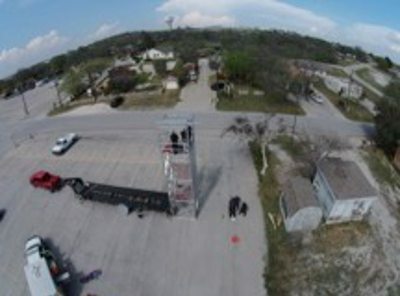 The Tower is hydraulically operated and sets up for Low Angle or High Angle in just minutes. 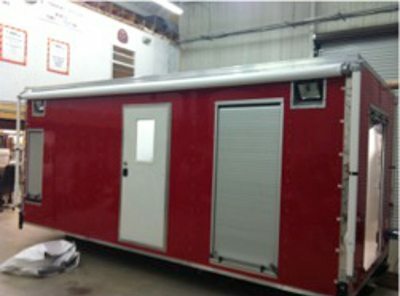 FD International can custom manufacture mobile facilities for your departments needs. 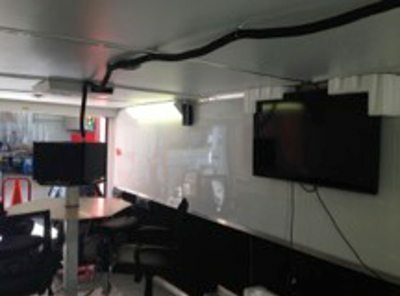 One of our mobile classrooms is housed in a dual purpose 38 foot, triple axle trailer. 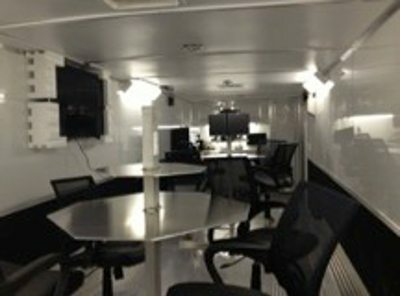 It is equipped will two air conditioning units, 220 or 110 volt 125 amp electrical system, a 54 inch wall mounted monitor, complete computer network stations, remote video camera with PTZ, and over 85 cubic feet of storage. 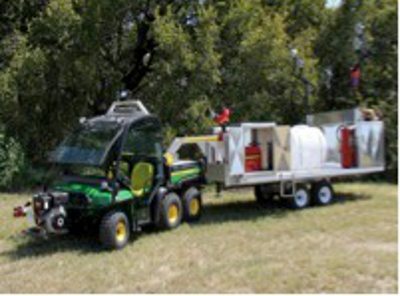 Our overseas client needed a mobile, lightweight emergency response unit for aircraft rescue firefighting, specifically for helicopters at remote sites. 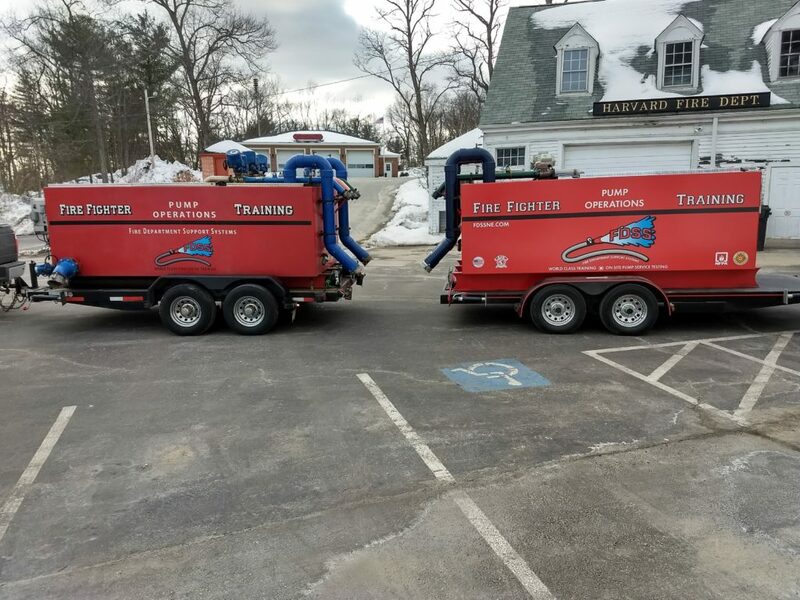 These units are equipped with 200 gallon water tanks and 125 gallon foam with a diesel powered pump and auxiliary 1500 GPM Master stream device. 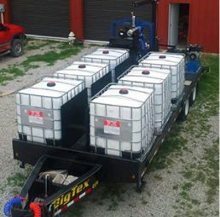 The water and foam tanks are custom crafted from high-quality aluminum for corrosion resistance. 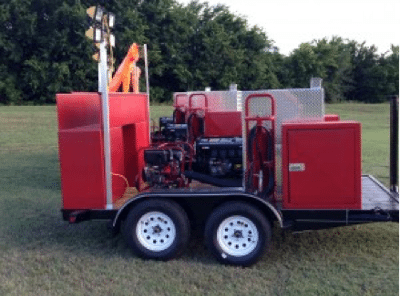 Includes a 7000 watt diesel powered generator, 2000 watts of rotatable lighting, purple k quick deploy dry chemical system, and over 40 cubic feet of compartment storage space on each unit. 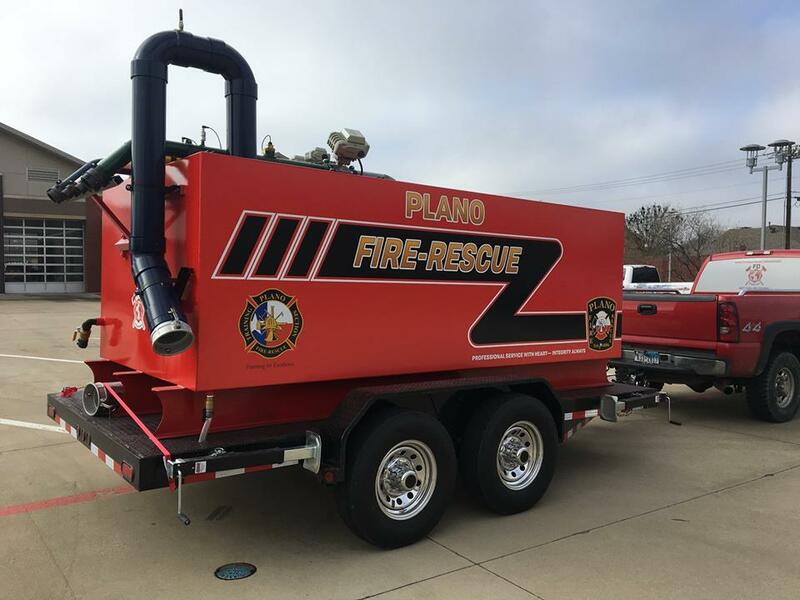 Our client needed a full compliment of equipment found on a full size fire truck to fit into a smaller space with better maneuvering characteristics. 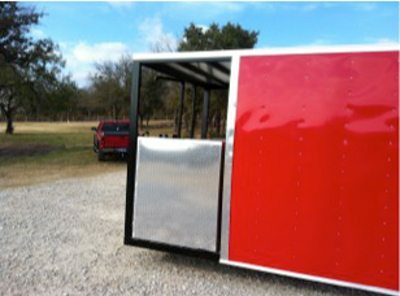 Our solution is a 6 wheel ATV (all terrain vehicle) with an all aluminum gooseneck trailer. 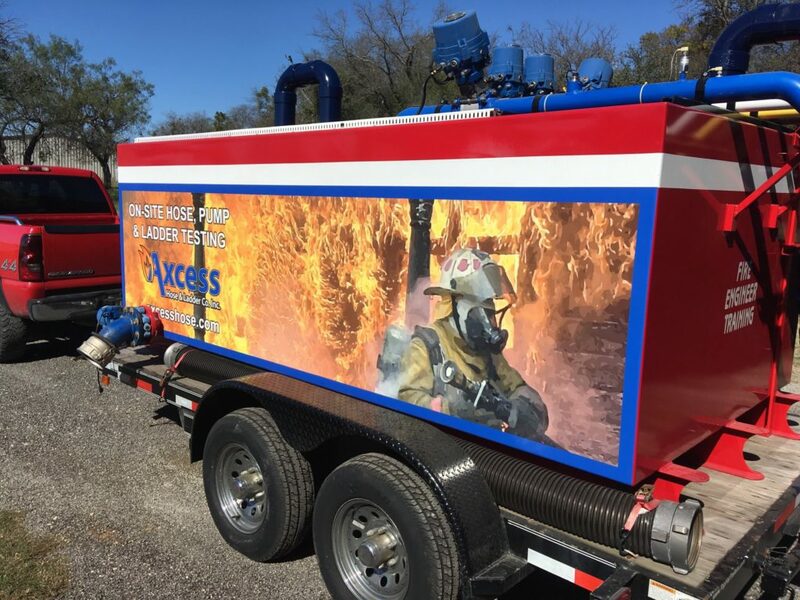 For rapid deployment situations this unit features a 1,500 gpm, removable monitor, over a 120 gallons of foam, rescue equipment, 6,000 watts of electrical generating capacity, atmospheric monitoring, and can be maneuvered in and out of tight spaces inside of any plant or process area. 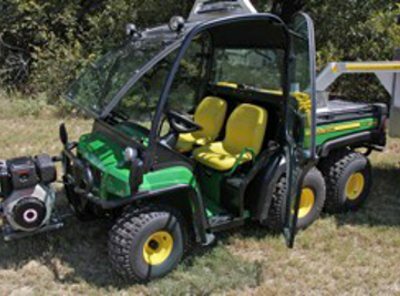 Designed for any large incident. 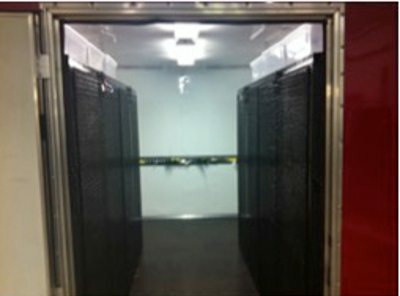 This pod contains the necessary equipment for a triage space, treatment space, and creates a flow to a post treatment area. 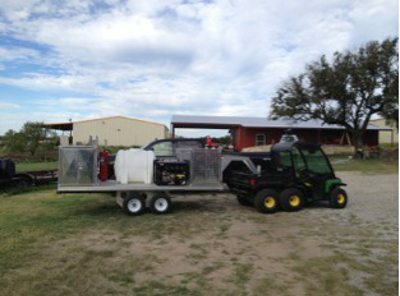 We’ve incorporated EMS supply storage, fresh water & contaminated water storage for any multiple or mass casualty incident. 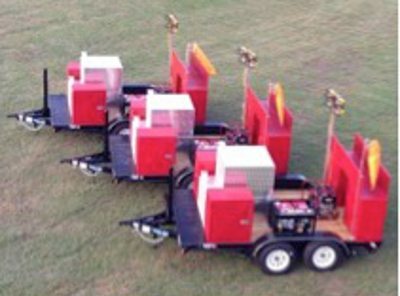 These units are designed to move big water and be deployed very quickly. 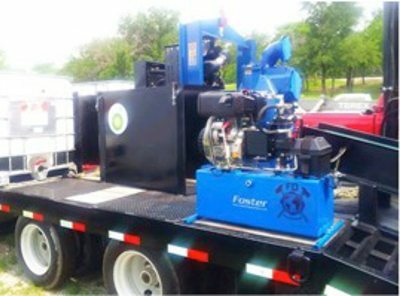 With 1500 gpm diesel powered pumps that can be off loaded at a water source by one person. The onboard hose can be easily connected to the next pump in the relay. Each unit has an HRS (Hose Retrieval System) to retrieve the hose when the incident in terminated. 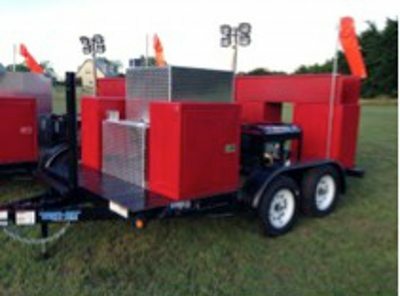 Custom designed for emergency pipeline operations. 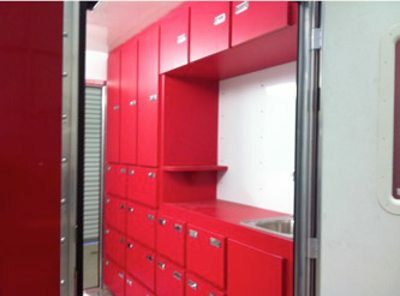 This portable on-demand unit (pod) is custom designed storage space for oil spill recovery equipment. 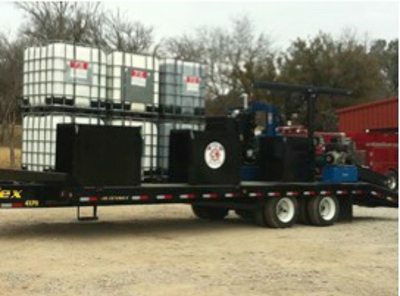 The OSR features include space for over pack drums and storage for several hundred of gallons of contaminated liquids. One client of FD International’s posed an interesting challenge. Their fire response requires 3000 meters of 12” large diameter hose to be deployed. The challenge was to pick up all of this hose without injuring personal and in a timely manner. 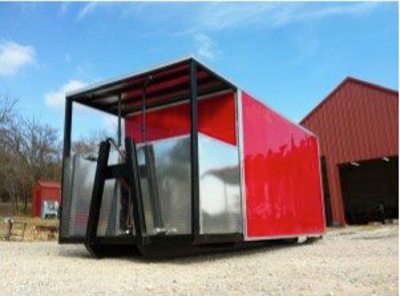 FD International’s solution is one-of-a-kind hydraulically controlled hose retrieval system. 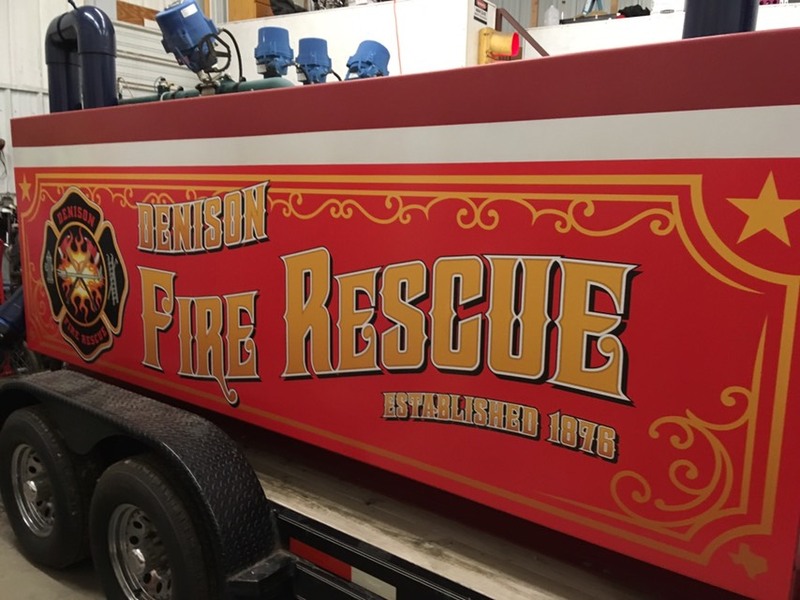 By utilizing the HRS two men can recover and stack 500 meters of large diameter hose per hour eliminating injuries and days of manpower for the same job.